One in 10 enterprises have at least one compromised device. More than 53% have at least one device that is not in compliance with corporate security policies. 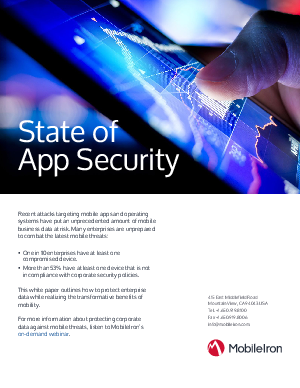 This white paper outlines how to protect enterprise data while realizing the transformative benefits of mobility.